Here at Attack Pest Control we have been eradicating bed bug infestations for over 20 years and have many satisfied customers. Need help with bed bug control Oxford ? Cimicidae (or sometimes bedbugs) are small parasitic insects. The most common type is Cimex lectularius. The term usually refers to species that prefer to feed on human blood . All insects in this family live by feeding exclusively on the blood of warm blooded animals. A number of health effects may occur due to bed bugs, including skin rashes, psychological effects, and allergic symptoms. Diagnosis involves both finding bed bugs and the occurrence of compatible symptoms. Treatment is otherwise symptomatic. In a develped city Like Oxford, bed bug control Oxford was largely eradicated as pests in the early 1940s, but have increased in prevalence since about 1995. Because infestation of human habitats has been on the increase, bed bug bites and related conditions have been on the rise as well. The exact causes of this resurgence remain unclear; it is variously ascribed to greater foreign travel, more frequent exchange of second-hand furnishings among homes, a greater focus on control of other pests resulting in neglect of bed bug countermeasures, and increasing resistance to pesticides. Bed bugs have been known as human parasites for thousands of years. The name “bed bug” is derived from the insect’s preferred habitat of houses and especially beds or other areas where people sleep. 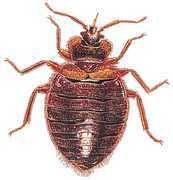 Bed bugs, though not strictly nocturnal, are mainly active at night and are capable of feeding unnoticed on their. They have however been known by a variety of names, including wall louse, mahogany flat, crimson rambler, heavy dragoon, chinche and redcoat. Bed bugs are on the increase all over Oxfordshire & Berkshire lets put a stop to them now. Don’t put up with bed bugs call our local office we are happy to deal with your call quickly and effectively. 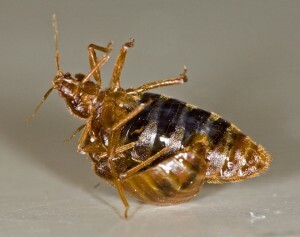 Or shall we say ” Night night don’t let the bed bugs bite ” To help with your bed bug control Oxford please call to discuss.